The charming Dar Rhizlane is situated just off the luxury avenues of the beautiful Hivernage district, away from the hustle and bustle of the main roads. 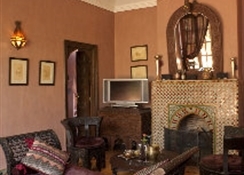 The hotel represents a traditional Moroccan riad with Moorish-Islamic architecture and a touch of Egyptian influence. 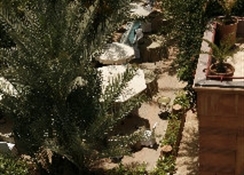 Set in a luscious garden with an outdoor pool for guests wishing to relax, the Dar Rhizlane is just a short drive from a number of the most popular attractions in the city including the famously atmospheric Jemaa El Fna Square, the Majorelle Gardens, the Bahia Palace and the Palais Des Congres among many others. 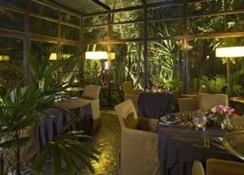 Each room has air-conditioning and a private terrae with views over the garden. They are all equipped with Wi-Fi, a flat screen TV and a private ensuite. 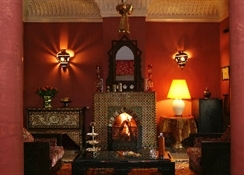 The hotel boasts a restaurant serving traditional Moroccan and international cuisine for guests in the dining area or on the terrace. The hotel also has a whole host of amenities including 24-hour help desk, sauna and spa for those seeking to unwind fully, room service, bar area and business services for those on business trips. This hotel is ideally suited to those wishing to stay just a short distance from the very heart of Marrakech, set in tranquil gardens for ultimate relaxation. Each room has air-conditioning and a private terrae with views over the garden. They are all equipped with Wi-Fi, a flat screen TV and a private ensuite. Certain amenities may be payable locally. 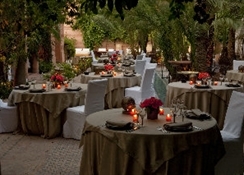 There is a restaurant serving traditional Moroccan and international cuisine as well as cookery courses. 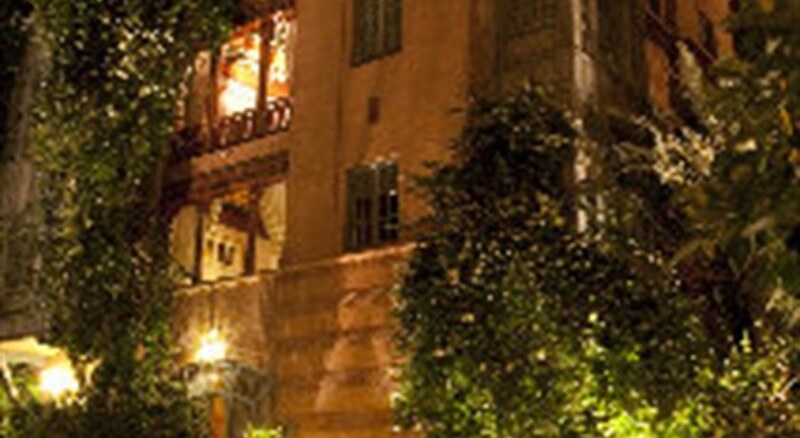 The Dar Rhizlane is just a short drive from the medina of Marrakech-a city split into the old town and the new town, this cultural metropolis boasts a number of cultural attractions and open-air markets filled with live entertainment. At night the city comes alive, offering exotic food, vibrant nightlife and a truly unique atmosphere.